The government will invest about $20 billion in the development of new oil discoveries over the next five years, the Minister for Energy and Petroleum, Mr Emmanuel Armah Kofi Buah, has indicated. The huge investment is expected to boost the production of oil and gas in Ghana and, consequently, the national economy in significant measure. Currently, Ghana is producing 110,000 barrels of oil daily, and according to Tullow Oil’s projection, an additional 80,000 barrels per day is expected to be produced in the next five years. The construction of a gas processing plant at Atuabo in the Western Region is scheduled to be completed in 2014, barring any challenges and it is expected to make enormous contribution to the country’s energy capacity. Mr Buah pledged the government’s commitment to the development of the petroleum sector and solicited the support of all Ghanaians in that respect. 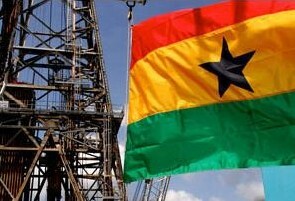 “It is, therefore, imperative that in their appraisals, development and production, Ghanaians must play key roles in all these activities,” he said in a speech read on his behalf by one of his deputies, Mr Benjamin Dagadu, in Accra last Wednesday, at the launch of The Oil and Gas Year (TOGY) Ghana 2013. TOGY Ghana is an exclusive, comprehensive and analytical publication on Ghana’s oil and gas industry, addressing a wide range of issues, such as investment, policy direction and regulatory framework. The first edition of the publication was produced in 2012, and TOGY Ghana 2013 builds on the maiden edition with a deep reflection on the rapid development in the petroleum sector and developments in the Western Region. TOGY’s publications are acclaimed as reliable sources of information on the petroleum industry in more than 30 oil-rich countries across the world. Underlining the government’s commitment to the development of the petroleum sector, Mr Buah said since the discovery of oil, the government had put in place a number of measures “to ensure that the resource benefits all Ghanaians”. The measures include the enactment of legislation, such as the Petroleum Revenue Management Act, 2011 (Act 815) and the Petroleum Commission Act, 2011 (Act 821) to provide direction and clarity on the management of revenues from the production of oil and gas and the regulation of the sector. A local content bill that seeks to give Ghanaians a competitive edge in the oil and gas industry is currently before Parliament, while the Petroleum Exploration and Production Bill is now undergoing government scrutiny. Furthermore, the government, realising the need for local entrepreneurs to take advantage of opportunities along the petroleum value chain, spearheaded the establishment of the Enterprise Development Centre (EDC) with the support of the Jubilee Partners to build the capacity of small-scale enterprises. Mr Buah assured investors in the petroleum sector of the government’s commitment to all investment agreements “and shall operate within their terms as we entreat them to abide by these policy guidelines”. In a speech read on his behalf, the Chief Executive Officer of the Ghana National Petroleum Corporation (GNPC), Mr Alex Mould, said TOGY Ghana 2013 was an invaluable reference point in Ghana’s oil and gas industry.